We were challenged by Maxxium UK, the brand owners of Stoli Vodka and 40+ other spirit brands to come up with an engaging, quirky & fun cocktail that shows off the awesome flavours that Stoli do! We have had the great pleasure in working alongside Maxxium UK for many years now and will continue to also! They have helped us grow our cocktail offer and also bring exciting new spirits and drinks for us to offer to our fantastic customers! 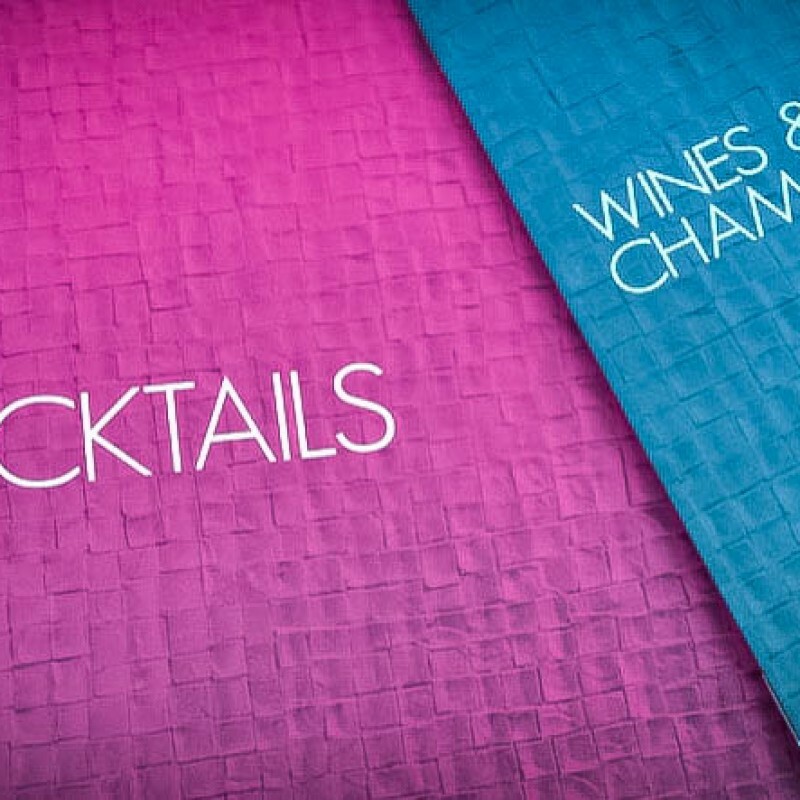 Maxxium UK is one of the country’s most dynamic and innovative premium spirits companies, passionate about creating quality mixed drinks and cocktails. Long may our relationship continue! 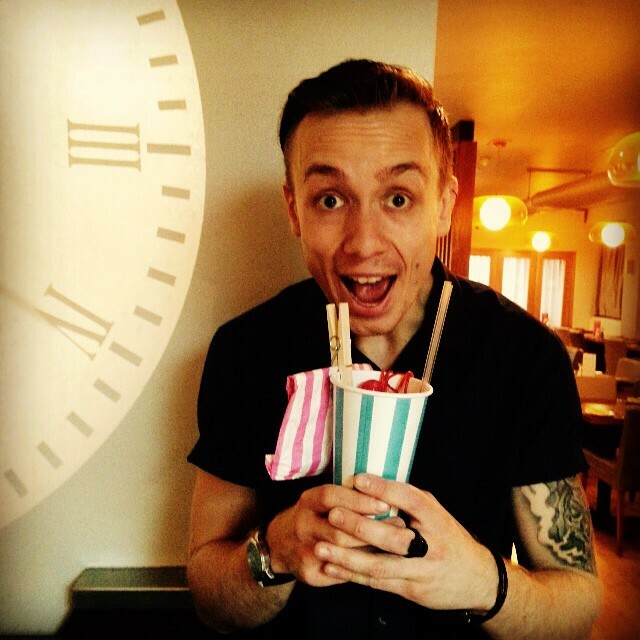 So back to the cocktail…Our head mixologist Rory (pictured!) absolutely nailed this one on his first idea! The sweet shop inspired cocktail strap line is “You Pick, We Mix” i.e. Pick and Mix but with alcohol! The base to the drink is: Midori (melon flavour), Apple Sourz (sour apple flavour), Bubblegum syrup and cranberry juice – You PICK your flavours of Stoli, we then MIX! And yes we had to try every combination! Many cocktails later we confirmed that it works with every Stoli flavour, someone had to try them! The flavours to choose from are…Ohranj – orange, Razberi – raspberry, Vanil – vanilla, Sticki – honey, Strasberi – strawberry and Citros – citrus! There are plenty of flavour combo’s so get creative! What else could we serve it in other than a pick and mix cup! What to garnish it with? It had to be a pick and mix paper bag full of the classics…pink shrimps, fried eggs, strawberry laces, flying saucers and plenty more! Also if that isn’t enough sugar we even pop a lollipop on top to finish it off. 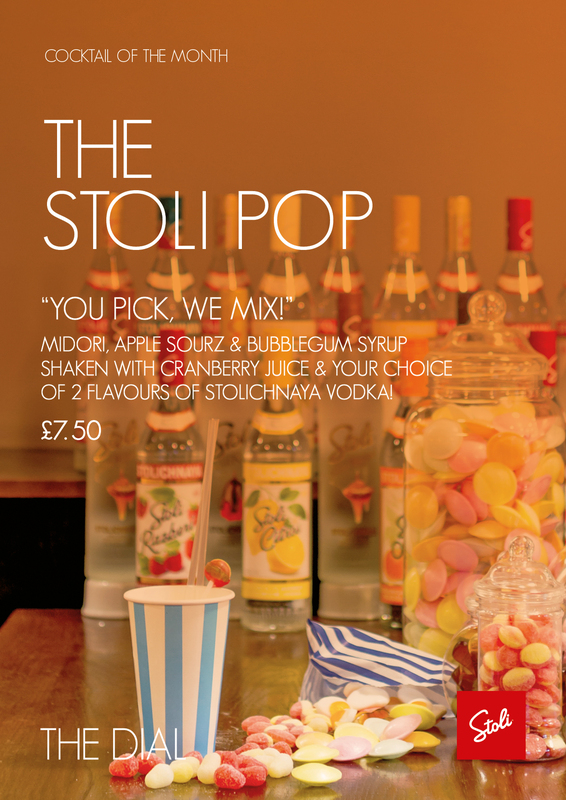 We hope you enjoy our creation The Stoli Pop, please show your love by sharing your photos with us on instagram, Twitter and Facebook using #TheDial #TheStoliPop our favourites will win prizes and may end up on our website!